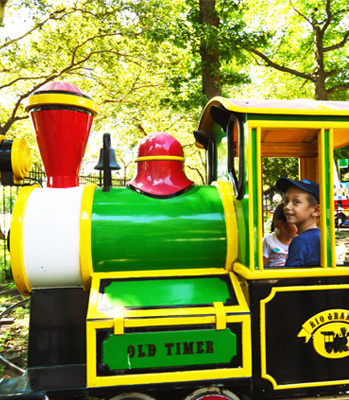 Grab a seat on this classic train ride. Complete with a steam locomotive, tramway, and caboose, this western-themed train is sure to catch the eye of engineers of all ages. All Aboard!